If you want to know some true cooking hacks you need to talk to your grandma. Peeling eggs has been one of those things plaguing humanity for decades. Little did you know that this is also a problem that’s been cracked (sorry!) by grandma’s a while ago. The Negg is an invention that takes one of those age-old tips and puts it into an easy to use kitchen gadget. Peeling eggs has never been easier than this. 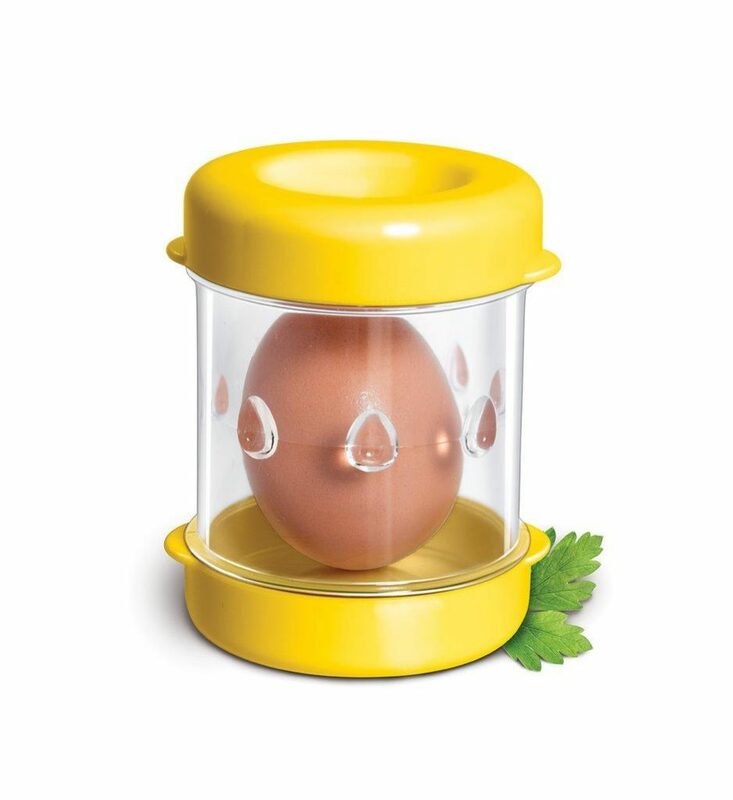 This is a simple plastic container where you add a quarter of cold water, shake a few times so the egg hits the edges and then take it out. This special housing ensures the egg is not damaged while you shake it. The egg shell can be removed in a whiff after a few shakes with the Negg, without damaging the egg or carefully trying to peel it apart in ten minutes. This is the perfect solution for when you need to make devilled eggs or any other recipe that requires a lot of hard-boiled eggs at once. Where can I buy this egg peeler? Get it on Amazon via the link below. Add 1/4 cup (Negg capful) of water to the Negg. Add your hard-boiled egg and snap on the top cap. Now you're ready to slip the egg out of its shell. SHAKE the Negg up and down with enough force so that the egg strikes the caps. Remember to take it a little easy, or you will end up with a slushy mess complete with shells.